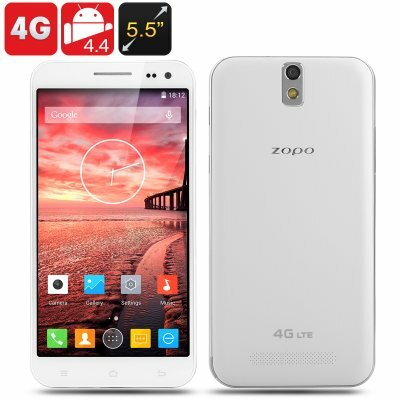 Successfully Added ZOPO 3X Smartphone - 4G, 5.5 Inch 1080p OGS TFT Screen, MTK6595M Octa Core 2GHz CPU, 3GB RAM, 16GB Internal Memory, OTG (White) to your Shopping Cart. The ZOPO 3X Smartphone has 4G connectivity, a 5.5 Inch 1080p OGS TFT Screen, a MTK6595M Octa Core 2GHz CPU, 3GB of RAM, 16GB Internal of Memory and OTG. The ZOPO 3X models a 5.5 inch FHD 1080p screen with 16 million colors as well as OGS, which as a result displays all your content bright and vibrant even in broad daylight and images and videos on the device looks crisp and clear. Thanks to its 1080p screen, the pixel density goes way up to 401 pixels per inch even with a screen of this size. Hence, we at Chinavasion were incredibly impressed with its display and we guarantee that even you too will like it. You get a mega 2.0GHz MediaTek MTK6595M octa-core processor that is joined by an equally mega 3GB of RAM, which means you're more than capable of running multiple apps on this phone smoothly and effectively. As for the connectivity, you get two micro SIM card slots which support GSM, WCDMA in addition to 4G FDD-LTE, TD-LTE, TD-SCDMA networks. There is 16GB of internal memory, but don't be alarmed as you can expand it by inserting a micro SD of up to 64GB for additional storage space. The back cover is made up of plastic but you get a shiny metal frame which makes the device look a lot more premium. On the back, there’s the 14MP camera along with the LED flash just below it and around the middle so you can capture great photos. This product is in stock now, we guarantee next working day shipping and offer a 12 months warranty on all our products. 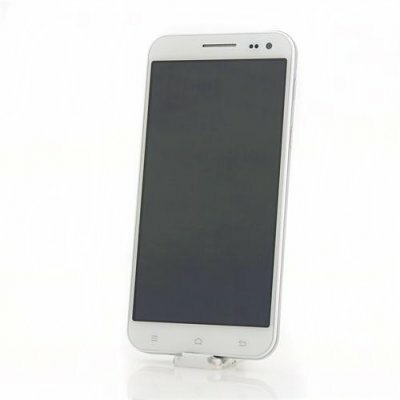 Brought to you by the leader in electronic devices as well as wholesale ZOPO smartphones, Chinavasion. Very good phone. All is perfect very good quality dispaly.best delivery from chinavasion.